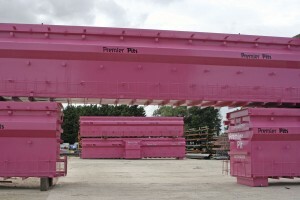 Premier Pits’ pink prefabricated pits are hard to miss at trade shows or on the motorway as they are being delivered. They certainly caught the eye of Chris Peat, who originally visited the company in 2008, for what was his very first feature article in Bus and Coach Buyer. Seven years later and with several changes to the company’s product portfolio, Chris has returned to the Lincolnshire based manufacturer. He met with the company’s MD, Mel Burrell and Marketing Manager, Laura Dighton, at its manufacturing site tucked away in the small village of Quadring, near Spalding in Lincolnshire. 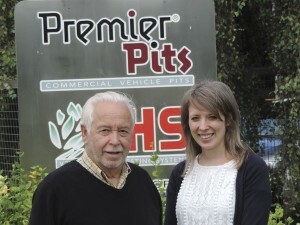 Since 2008, there has been a number of changes and developments at Premier Pits. The recession hit later that year, creating a new set of circumstances. With bus and coach operators and the wider transport industry tightening belts, the effects of these hard economic times were not unnoticeable for the manufacturer. However, it strove through it and Mel reports businesses are a lot more confident now, with a turn up in sales of his products. Outside of changes to economic conditions, Premier Pits has also experienced a shift in the nature of the market. Previously, Mel was focused on explaining to customers the benefits of installing his steel prefabricated pits over concrete versions, which were previously his biggest competitor. Now though, he explained his keenest competition comes from other pit manufacturers, which he says have only recently started to emerge. None of them, he says, have the experience of Premier Pits. Something that sets Mel’s service apart from others is the ‘overall package’. The company has four teams installing the steel pits each week, which he says could be upped to five if demand requires it. His staff are all under contract to Premier Pits, under PAYE agreement, something he says is essential as it gives much better control over the job they do than would be the case with contractors. ‘When you’ve got a 22m pit to install, you’ve got to know what you’re doing. You have to pour the concrete in properly, that’s so important. You need a team that’s done it before and is experienced. Very often people think putting them in the ground is easy, but it’s the hardest part of the job. There’s very few that get it right first time. I’ve got some on my installer teams that have been here for 15 years, altogether they have over a hundred years of experience,’ Mel said. Although it had always sold abroad, another development is the growth in its overseas trade. Premier Pits now delivers a lot of its products abroad, with its pits going to many countries including France, Norway and South Africa. Laura described this as a ‘big change’ for the company, but said it is something they are very comfortable with, having had the experience in this that other pit manufacturers have not. This experience is very much required, explained Mel, as it is a considerably different procedure to fit pits overseas. For example, he related one instance in France where he said it took 48 hours for the concrete to be delivered, which would be considered far too long in the UK. ‘Now, these sort of things are nothing to us. We are able to install pits almost anywhere,’ said Laura. Even though possibly no one knows prefabricated steel pits like Premier Pits does, Mel is humble and says he and his company have still learnt a lot over the past seven years, as has been the case ever since they started manufacturing them. ‘You never stop learning,’ he said. Something he has stopped though is the amount of travelling he does, enabling him to concentrate on the export side of the business. The new sales man, Jonathan Woodhead, is more often than not on the road for the company as well as Dave Sylvester who is Sales Director. Steve Hunt, is also on sales and based at the office. Phil Wilson is the Operations Director and concentrates on the teams; it is very much a team effort from sales, through to manufacturing and installation. Proving fairly important in recent years for Premier Pits is the fitment of ATF (Authorised Testing Facility) lanes. 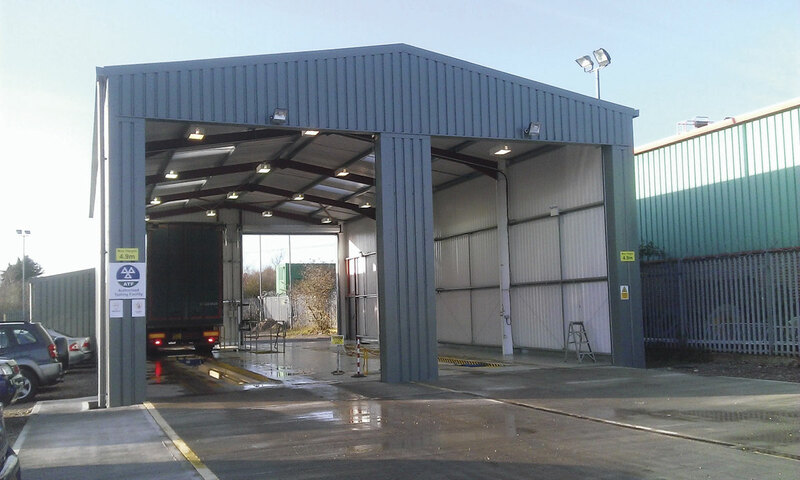 The closure of VOSA lanes and the opening of private testing facilities opened up the market for the fitment of these specialist test centres. The manufacturer now provides full ATF testing centres, not just the pit. It uses the customer’s choice of equipment for such items as brake testers, etc, and even installs the free standing building itself. The company can look after the whole process involved with this, from the planning phase to completion. Mel said companies often hire former VOSA employees to man these testing facilities and noted the preference is for them to have their own dedicated site for testing away from the main workshop. Even though demand for them has been considerable, he is unsure how long the interest in these ATF pits will last; he assumes there will be a point when all that are going to install them will have done so. One option Premier Pits can offer is for another pit to be added to the side of these installations at a later date. The company can make provisions for this possible future installation when installing the original pit, with Mel describing this as ‘future proofing’. Another growth area for Premier Pits is its under chassis wash down pits. This offering can be coupled with rainwater harvesting systems, which gather water off a roof for use in vehicle washing. It can provide solutions to suit individual needs. 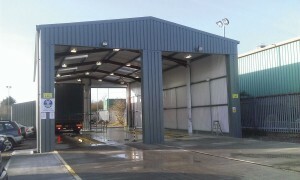 These wash down pits, combined with ATF lanes and maintenance pits, are all part of the Premier Pits Centre. 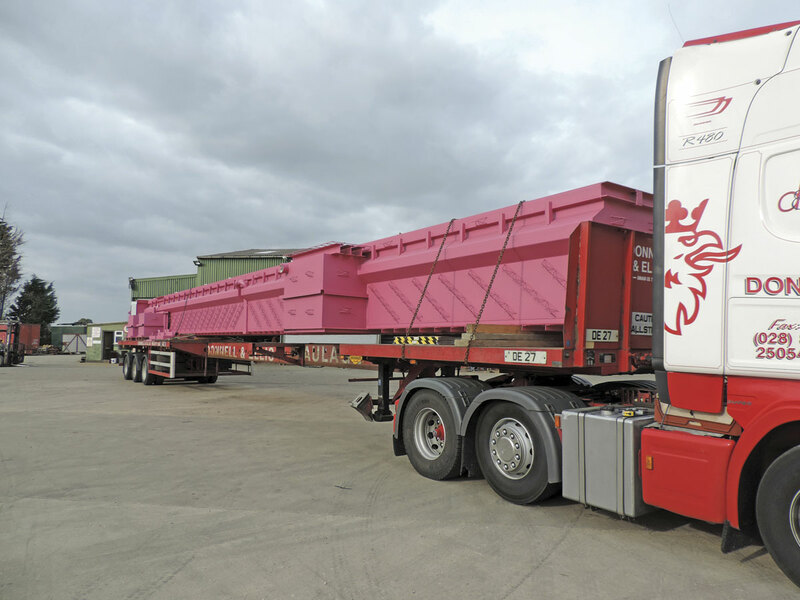 This marketing initiative was first publicised at this year’s CV Show and sees the company promote itself as a provider of a lot more than just prefabricated pits. 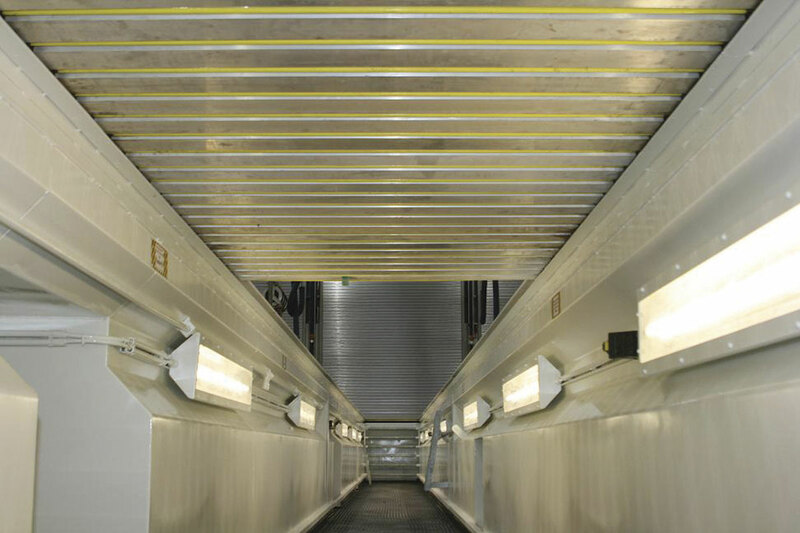 As well as what has been mentioned above, the business also provides a wide range of accessories for pits, including lighting, flooring, step up platforms and pit bridges. Safety products can be provided too, from recoil safety barriers to motorised safety covers. The prefabricated steel pits themselves have stayed largely the same over the years, with a few minor tweaks here and there. They are designed for working, maintenance and inspection and can be customised to suit individual requirements with tunnels, recesses and underground workshops. Those sold to the bus and coach industry are generally around 16m long and are transported to customers in one piece on the back of lorries. Manufactured to ISO 9001 standards, they are made from preformed mild steel sheets, MIG welded together to form water tight shells. This is the basic product, which can then be upgraded with various options and extras. 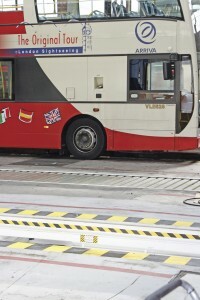 Installation times for the pits depends on their size, but for bus and coach applications this often involves a 16m version, which usually takes a week. They are designed in-house by the company’s CAD team, who are able to provide design support to architects, structural engineers and the like. 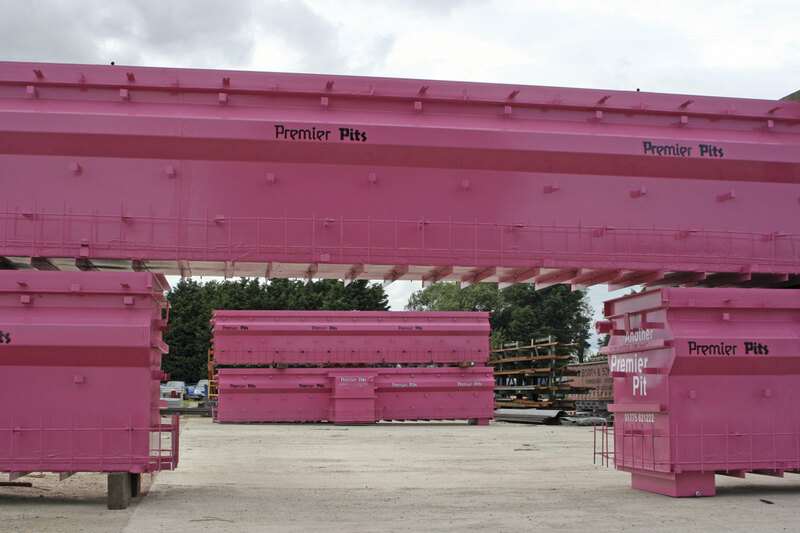 If unsure of what pit is required, Premier Pits is able to advise customers on what would be most suitable, as well as any modifications and accessories that may prove useful. As well as the Premier Pits Centre scheme, Premier Pits also launched its new range of pit covers at the CV Show. The ASP System is a manual or pneumatic powered cover designed for any existing and new pits. According to its marketing material, its installation takes a few hours and requires no building works. All of its components are made to last and to withstand harsh workshop environments. 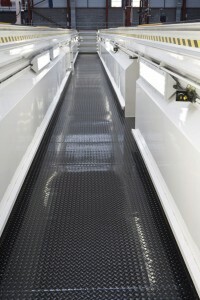 It is in addition to the company’s further safety cover range, which also includes a budget version. When it comes to who actually installs the pits, Mel reports that bus operators have always been more in favour of them than truck businesses. However, the HGV sector seems to be shifting its opinions of late and having more pits fitted. Unsurprisingly, Mel is more in favour of pits than he is of vehicle lifts. He believes that in a modern day workshop, with all the health and safety procedures in place, pits are safer than lifts. Plus, they are quicker to use; it takes a lot less time to drive a vehicle over a pit and walk underneath it than it does to drive it onto a vehicle lift and hoist it up. No matter what the preferences are in the industry, it looks like there is no shortage of demand for pits. Four delivered a week is what Premier Pits is averaging, sometimes even more. It already has orders for months in advance. Quality is something the company has never struggled with, as there are examples of its pits still in use today. In fact, it’s first ever steel pit, installed almost 40 years ago, is still going strong. 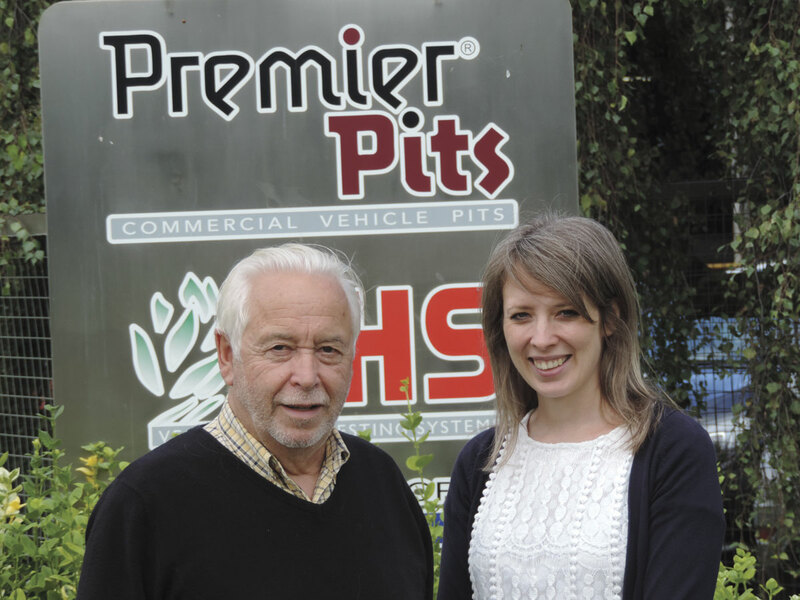 It is not going to rest on its laurels though, with Laura planning to keep up the marketing of the Premier Pits Centre offering and a new website is on its way. 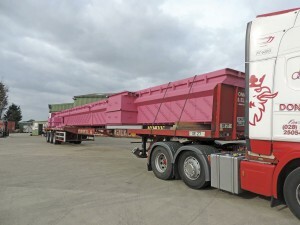 These are all good signs, suggesting the company is in good shape to provide pink prefabricated steel pits into the future.